WASHINGTON, MO - Jamielee Buenemann, a 2015 graduate of Washington High School and one of Girl Scouts of Eastern Missouri’s graduating seniors, was one of only 10 young women nationwide to receive the award. 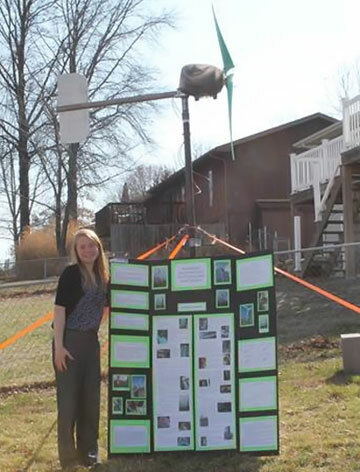 She completed her Girl Scout Gold Award by researching, designing and constructing a residential-scale wind turbine almost entirely from recycled materials, raising awareness in her community about the accessibility and affordability for renewable energy. "Being named a National Young Woman of Distinction is the highest honor a girl can earn through Girl Scouts, and it is emblematic of her vision, resolve, and commitment to putting her skills to work to make the world a better place," said Anna Maria Chávez, CEO of Girl Scouts of the USA. JEFFERSON CITY, Mo. 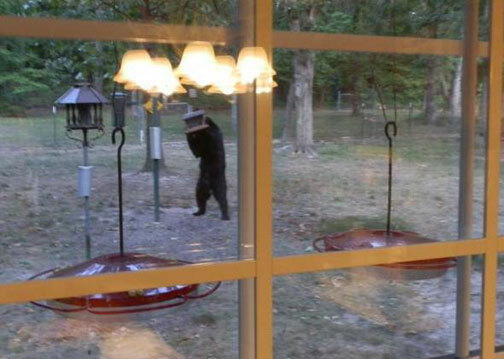 – The Missouri Department of Conservation (MDC) encourages Missourians to be “bear aware” this spring and summer. Black bears are on the move this time of year. According MDC Resource Scientist Jeff Beringer, most black bears that cause problems in Missouri are young males that are looking for new homes in spring and early summer after dispersing from their mothers’ home ranges. In their search for food, these young males may come into contact with humans and cause problems. --At the beginning of each troop meeting, Girl Scouts recite the Girl Scout Promise, pledging to serve their country and help people at all times. 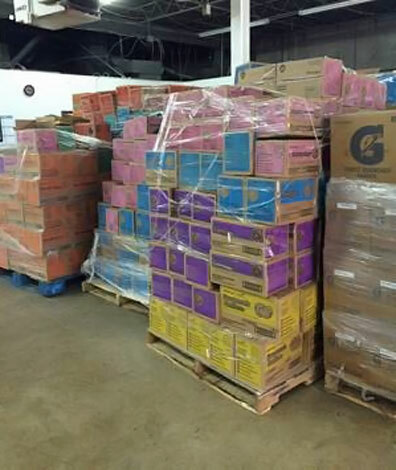 Girl Scouts in eastern Missouri have made good on that pledge, combining their hard work during Cookie Season with the generosity of their customers to donate more than 54,000 packages of Girl Scout Cookies to the USO of Missouri. This surpasses the number of cookies donated in previous years. JEFFERSON CITY, Mo. – In advance of severe weather season in Missouri, the National Weather Service, the State Emergency Management Agency and local emergency managers are promoting Missouri Severe Weather Awareness Week, March 2-6, to help Missourians be prepared for dangerous tornadoes, severe storms, lightning and flooding. 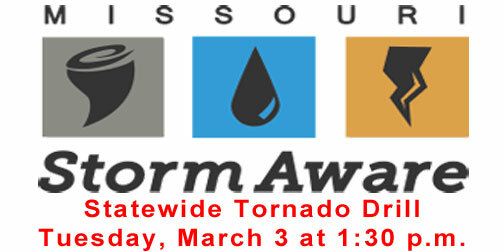 Missouri’s 41st annual Statewide Tornado Drill will be held on Tuesday, March 3 at 1:30 p.m. If severe weather is in the forecast for March 3, the drill will be moved to Thursday, March 5 at 1:30 p.m.
---“Girl Scouts, start your engines!” shouts a man standing on the side of a track. 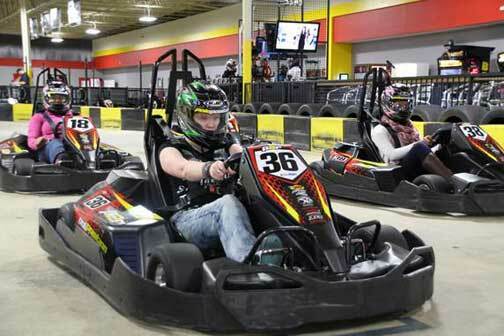 Teenage girls sit in high-powered electric go karts mere inches off the ground and grip the steering wheels of their vehicles. In their minds, the girls are preparing to compete against one another, zooming and zipping around the track. 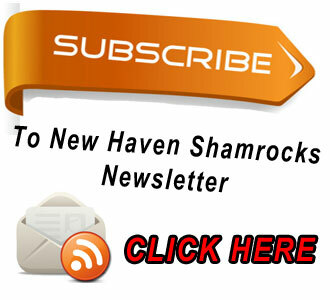 What they might not realize, however, is how the race they’re about to begin will help guide their future. FRANKLIN COUNTY, Mo. - Sheriff Gary Toelke released a statement regarding reports of a group of individuals marching from Ferguson, Mo to Jefferson City. 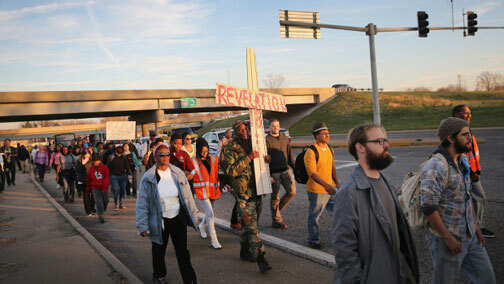 NOTE: The group began their march on Sunday. 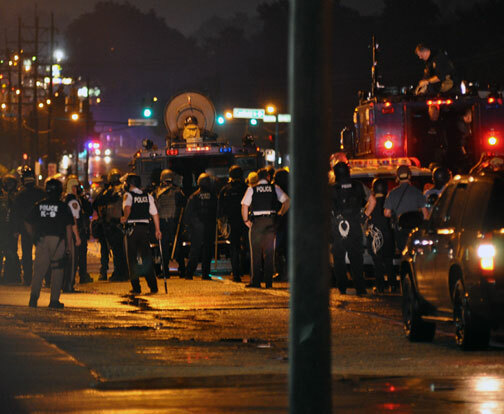 Sheriff Toelke said this morning confirming reports by various media agencies that a group of individuals will be marching from Ferguson, Missouri to Jefferson City, Missouri this week. Part of their route travels through Franklin County. It is “estimated” that they will enter Franklin County sometime Monday morning or early afternoon. While the 12 men and women on the St. Louis County grand jury have concluded their work, the rest of us have much more work to do in order to use the lessons we have learned these past four months to create safer, stronger and more united communities. 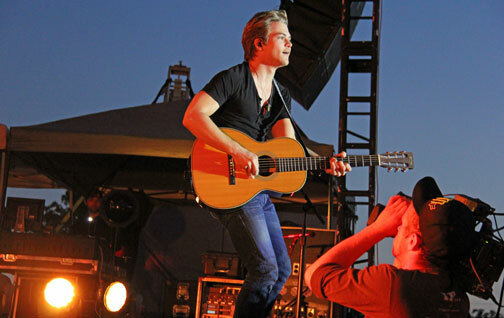 Photo by Kyle Quick of Hunter Hayes at the Gasconade County Fair. ST. LOUIS, Mo – (November 19, 2014) Earlier this afternoon it was announced that out of respect for Missouri Gov. Jay Nixon's declaration declaring a state of emergency in Missouri, Hunter Hayes’ Thursday, November 20 show at Chaifetz Arena in St. Louis has been cancelled. Tickets will be reimbursed at the point of purchase. JEFFERSON CITY, Mo. – Gov. Jay Nixon today signed an executive order activating the Missouri National Guard to support law enforcement during any period of unrest that might occur following the grand jury’s decision concerning the investigation into the death of Michael Brown. The Governor said the Guard will provide support for law enforcement’s objectives of maintaining safety and protecting constitutional rights.